The party is for your friend, the bride to be, to see her on her way before she goes off into married life. If you don’t know what she would like already then ask her. Does she want something crazy? A fancy dinner out or a spa day? Even if it’s not what you want or not what the other girls had in mind, make sure it’s all about her. When it comes to games, food and drink and presents, the same rule goes. What will the bride-to-be love? What is important to her? What would she choose? The do your best to plan everything around this. 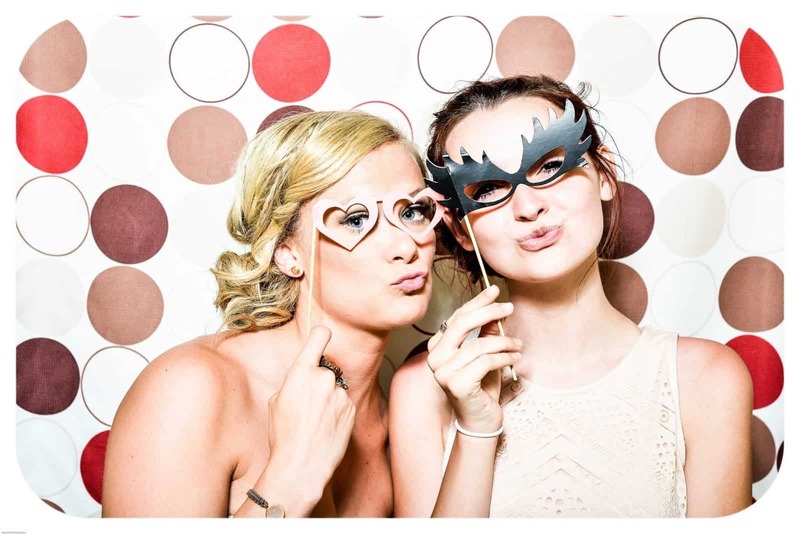 While many bachelorette parties today are often chock full of activities and come complete with a detailed itinerary, you don’t need to plan that much actually to do. Being together and hanging out is the top priority, chatting while eating and drinking, chilling on the sofa, playing a few silly games and also relaxing are all critical. Either the girls on the guest list will know each other and want to catch up and enjoy each other’s company or others will never have met and will want to get to know each other and find out all about their friend’s friend. Be flexible, allow people to be late, people to take ages getting ready and allow extra time for the unexpected. If you have planned certain activities or have an idea of somewhere you want to go, it is good to have some back-up options in mind just in case anything goes wrong. If someone’s flight or train is delayed, if someone drops out at the last minute, if the weather takes a turn for the worst and starts pouring down on all your outdoor activities, or the bride decides she no longer “feels like” doing whatever you had planned, then don’t panic! Have some other ideas up your sleeve and keep calm and know that it will all work out for the best. The money side of things can be awkward when trying to arrange any group weekend away or activity. Suiting everyone’s budget to start with can be tricky and then what do people pay for upfront or what are they shelling out for on the night/weekend? So, speak to the bride, set a budget with her, and she will know roughly how much her friends can afford and what’s realistic or not. If you want to, you could ask people to share their ideas of free or low-cost activities to do, and you could plan for events, and people can decide which ones they want to do. For example, if you have a weekend away, people can determine if they can stay one or two nights if you do a couple of activities, then people can decide which ones they want to come to and which they can afford. If someone declines because of cost, then don’t take it personally. Also, remember, if you’re all covering the cost of the bride then make sure you discuss this with the other girls beforehand to make sure everyone’s happy to do so and they know much they are putting in. Then if the bride decides to splurge on a bottle of champagne later on, then that’s up to her. Get a list from the bride of who she wants to invite, she might want a small affair, or she might wish to have everyone there. She might want to include her Mom and aunties or keep it to friends. So, make sure you have a guest list from her and then take it from there. You can give an update to the bride of who said they can and can’t come. There might be someone she really wants there, so for example, if you float a date around the group and someone the Bride really wants there can’t make that date, then change it to make sure the bride gets as many of the people she loves there. The best way to speak to everyone and to come up with a list of possible dates is to set up a group chat. See which dates the bride can do first, the more date options, the better so you can pick a time that suits most of the other girls. If you can get a list of “priority guests” from the bride, this will help and will mean it’s easier to find a date that suits them all. Once you have this sorted, let everyone know the preferred date and then give them an indication of what you are playing and the budget you are working towards so they have time to decide whether they can come. Once you’ve got the plan sorted, you have a guest list and a budget, then the best thing to do is to divide and conquer. A lot of work goes into planning a great party, especially when it’s for someone you love, so let the others get stuck in. Give jobs to people and play to their strengths rather than trying to manage everything on your own. If someone is a great cook or baker, then ask them to bring some food or make a cake. If others are creative, ask them to take care of decorations, or come up with some games. If there’s anyone who can’t make it, ask them if they want to be involved by sending a video or organizing something which you can do on their behalf, even if it’s to pay for a round of drinks, send a gift or arrange a quiz which you play in their absence. Depending on what you’re doing, you might want to think about a theme. Is the bride a massive fan of something? Or perhaps you want to do something different, it could be a beach party where you’ll want to get some Hawaiian leis, you could all dress as cowgirls, or it could be a more traditional event where you tell the bride to dress in white, and everyone else wears black or another bright color. Get some accessories; if you’re not keen on the sashes, there are many other things you can do, you could opt for something more subtle like wristbands, personalized T-shirts or personalized hats? Again, what would the bride want? What would she choose and what would suit her most? If you have allowed for some extras in the budget (which is an excellent idea), then make sure to have your party packs or goodie bags ready to hand over to the guests. This works as an excellent ice-breaker if you’re meeting a load of girls who you’ve never met before, and it also shows your bride that you’ve put lots of thought into her hen. Make sure to include anything they might need for any activities you have planned, as well as any casual dressing up bits. You can also do a little hangover pack which can include items such as painkillers, crisps and a can of Coke or bottle of water to soothe those sore heads in the morning. Get some personalized tote bags and little hen accessories to go with as it’s a nice little touch to the weekend or night. One of the best and most popular parts of the bachelorette party involves getting the fiancé involved in some way. It could be a cute video message or full-on Q&A sessions where the bride has to take a shot for every answer she guesses wrong. Or a game of Mr. and Mrs. It’s really lovely and makes the bride’s partner feel part of the festivities as well as reminds her on the night about what this party is for and why she’s getting married in the first place. Don’t stress – the most important thing to do is to enjoy yourself and to make sure the bride does too. If it doesn’t all go to plan, then don’t worry about it, the idea is that the bride has some quality time and fun with her closest friends before her big day and that’s all that matters. Speak to all the girls beforehand and make sure everyone knows that that’s the end goal, it’s all about having fun, if anyone doesn’t like anyone else, tell them to bury it for the weekend and remember that it’s about the bride.